I know, they\'re dinosaur marbles. The colors have worn off a bit, but you can still make out the foot prints. How strange, I always wonder how things like this came to be. Such an interesting place ! It is really unusual. 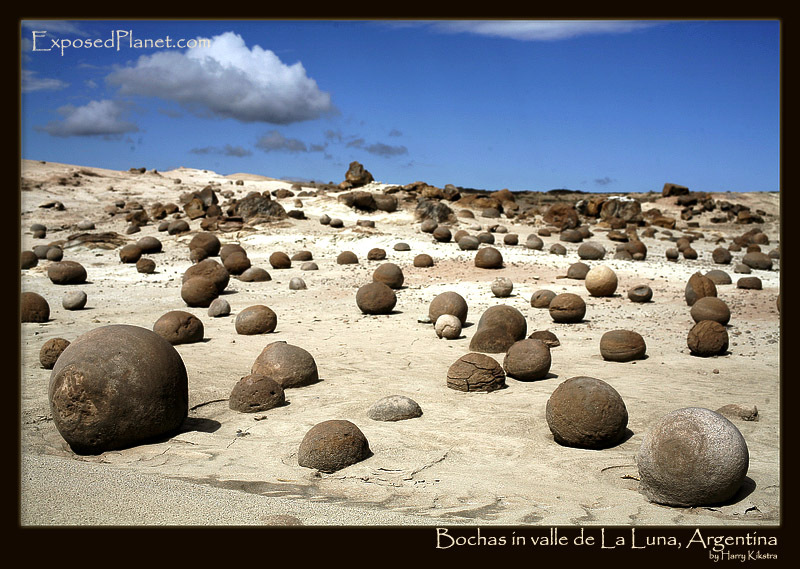 The story behind "Bochas in the Valley of the Moon, Argentina"
Also known as Ischigualasto, which means “Place where the Moon alights”in Quechua language, the “Valley de la Luna” park is an interesting park in San Juan Province, Argentina. Also many dinosaurs remains have been found in this park, the oldest and richest in the world. Truly an area to be reserved and cherished..